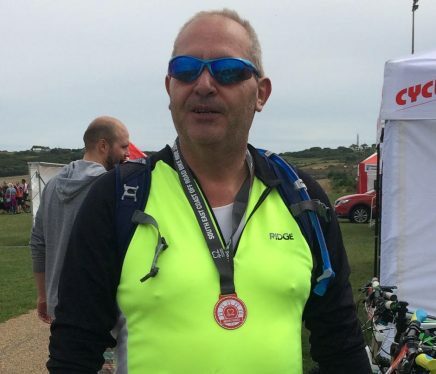 As you may be aware from our previous article , Colin Kippin, one of our Directors and Head of Tailoring, recently took part in a bike ride to raise money for The British Heart Foundation. The ride had to be rescheduled due to the weather and so eventually the East Coast Mountain Bike event took place in 12th August 2018. Colin completed the course in 2 hours and 22 minutes and came 15th in his class and was very pleased with that. A grand total of £383 was raised. Colin tells me that it was the hardest thing that he has ever done and that it was a constant mental battle to finish the ride. The sting came after 5 miles, he then had to climb over 1,770 feet over the following 7 miles. Colin is now looking at some further road based events, "I've had enough climbing mountains for now and want to focus on a new challenge. Maybe a 100 mile road ride event", he said. We would like to congratulate Colin on his achievement and wish him luck with future events. Will keep you posted on any future challenges. Well Done, What a personal achievement & all for a great charity. Keep going Colin.